So this time next week, we will be celebrating Christmas Day… lots of excitement, plenty of food and the exchange of a gift or two…. 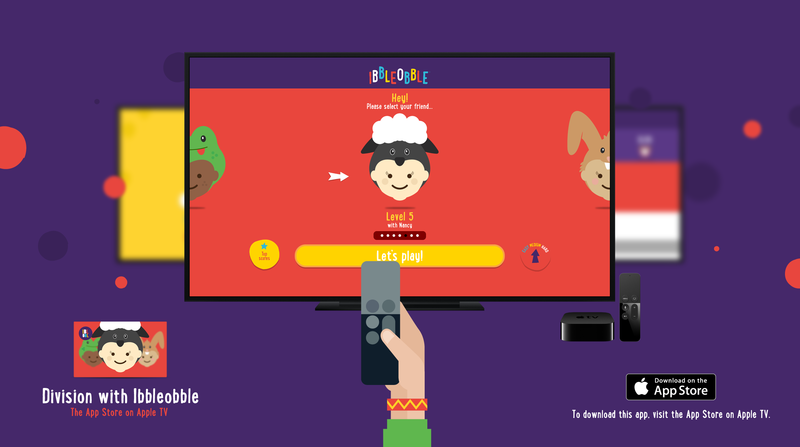 but today we are celebrating something equally – if not more – exciting, with the launch of Ibbleobble educational Apps on Apple TV! 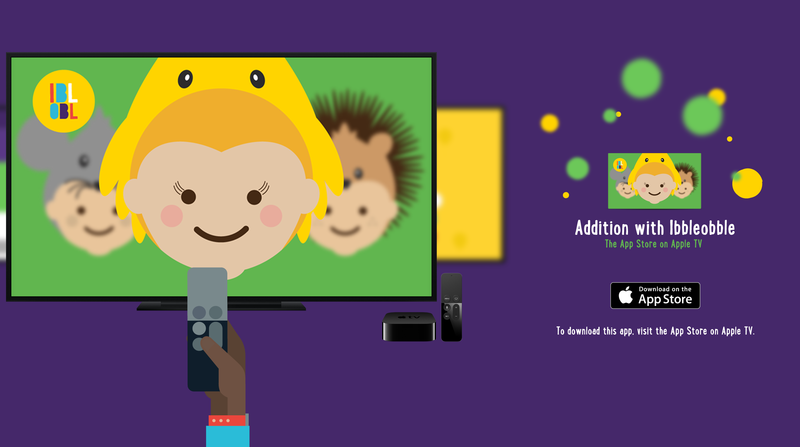 This is a huge achievement for us at KidDotCo – founders of Ibbleobble – in under five months, launching Ibbleobble, seven apps, four bundles and now the full collection on Apple TV. Additionally this means Ibbleobble are only among an exclusive range of Apps on the device compared to the extensive choice found on mobile devices. So why Ibbleobble Apps on Apple TV? Ibbleobble firmly believe that our educational Apps play an important role in self-teaching children. We feel it is vital, not only for children to acquire skills that will aid their development, but will build children’s confidence while they learn at their own pace. Additionally, we do understand the importance of learning in groups such as with family, with friends or with peer groups. So when Apple launched their latest version of the Apple TV – with the inclusion of an App Store – we made it our priority to make sure our Apps would be available to buy from the store. This means children have access to all Ibbleobble Apps on every iOS device. Importantly, children now have an abundance of choice to educate themselves either via their mobile device or round a TV with family or friends. So why don’t you join Mr Mousey, Lola, Fin and the rest of the Ibbleobble friends by searching ‘Ibbleobble’ in the App Store on Apple TV.